This Good Friday, join us for worship at 7:30pm in our Sanctuary. 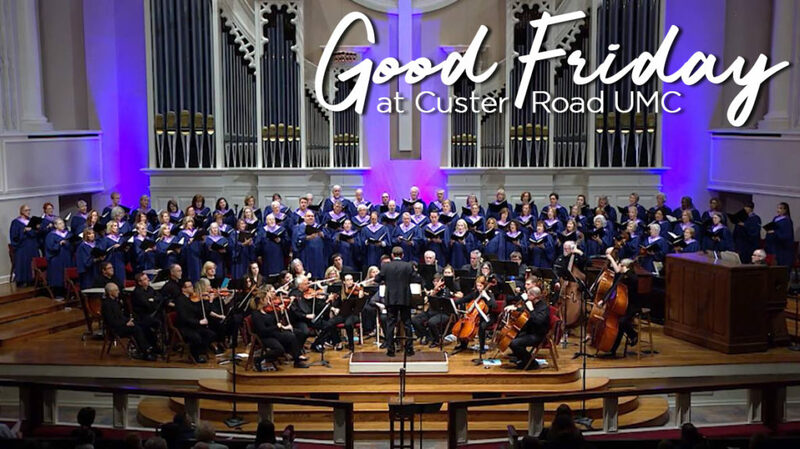 It will feature music by our adult Chancel Choir and the Custer Road UMC Orchestra that reflects on the crucifixion of Christ. This is a powerful worship service you won’t want to miss!